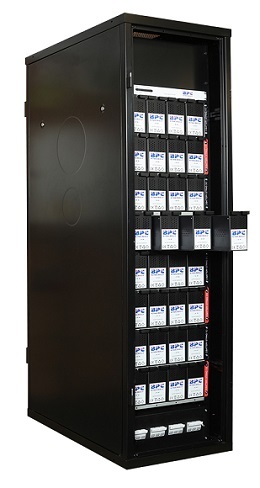 Rack Independent UPS solutions can also be integrated with modular battery solutions. Typically suitable for 8U applications for 200kVA for 10 minutes autonomy or combinations of more autonomy but less power capacity. The BPC BATTERY SAFEGUARD Monitoring System is key to guarding your battery to ensure that when required the battery is able to provide the necessary support to your UPS. Continuous monitoring of Voltage and Temperature provides immediate alarms to show of any existing issues within the system. The SAFEGUARD voltage monitoring is based on identifying if there is any imbalance between the 12VDC battery blocks as well as monitoring the battery cabinet temperature in three positions within the cabinet. The system then provides alarms and visual indications that the system is outside its optimum voltage or temperature range. For applications requiring much longer backup time or the UPS capacity exceeds the normal data centre room requirements. BPC Energy design and manfucture their own PowerStor battery range and also have a versatile range of sealed lead acid battery with suitable AGM of Gel sealed technology for both 12 year and 15 year design life. In certain applications where space is restricted, and a huge density power storage is required in perhaps a hostile environment with high temperature variations, a more advanced battery solution might be a better solution. Lithium technology is now becoming well proven and understood for powering larger applications. 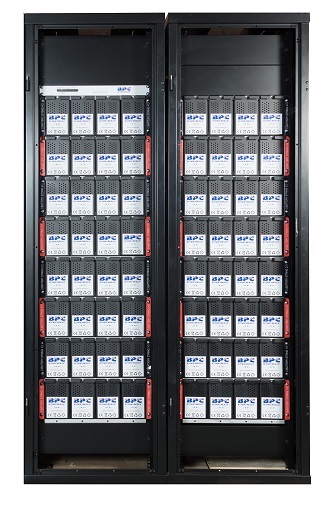 BPC Energy has a 48 volt rackmount Lithium Ion Module which is developed for energy storage and standby applications.